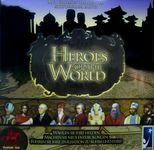 this GeekList is very simple: simply mention an obscure (at least outside of the top 1500) game (or games) that you feel might deserve being remembered from time to time! you don't need to have even played it, merely heard of it! feel free to post as many as you like, to help perpetuate their memory a tad more than otherwise enjoy! our family enjoyed this a lot decades ago, good times!! beautiful fun refreshing vicious game perfect rules! 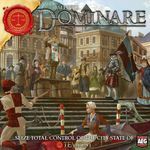 This game is #6814 in the BGG rankings. It's a great, quick blind bidding game (about 20 minutes once you know it.) The theme is bribery, so you lose your bid whether you win or lose. This is a mechanism I dislike when it is used as a part of a more complicated game, but here it is the whole point of the game, and as a result it works for me. From time to time Goldsieber distributed special pewter commemorative items, to give away at Spiel or for other special events. If anyone has one of these for Bakschisch, I'd be interested in buying or trading for it. Fun city builder with dry erase markers! 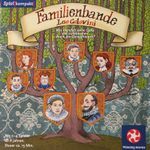 A criminally underrated Knizia title. Don't know why this isn't more popular. 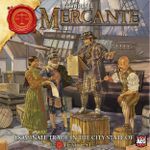 An auction game set in Tempest. Fun bidding and resource management in this one. Some of the best quality components I've seen as well. 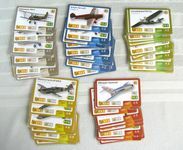 Air King is nice filler type card game about managing airplane traffic. Game is published by company from my country - Brain Games and is quite fun and portable. Another in the Tempest series. Same designer as Revolution!. You are an influence peddler helping various citizens of Tempest get their petitions completed. Underrated. A fun, bidding game. It is a filler as it plays in about 30 minutes and can handle up to 5 players very well. Never had anyone turn down an opportunity to play this one. Play this game a couple of times. Then look up some strategy. 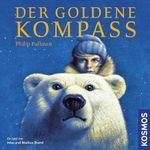 I'll guarantee you will be overwhelmed by how complex and interesting this very, VERY simple game can be. Very small kids can learn it, grown-ups will still have a hard time wrapping their heads around all the strategies. Hex is a two player board game played on an n × n grid of hexagons. A turn in Hex consists of placing a piece of your color on a hexagon. 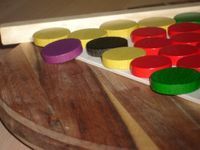 The first player's goal is to form an unbroken chain of hexes of his color that connects the top to the bottom of the board while the second player tries to form an unbroken chain connecting the left and right sides of the board. 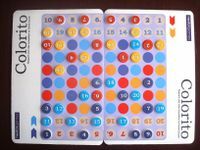 Swap rule: After the initial play only, the second player has the option of either responding with his turn or swapping sides taking the initial play as his first turn. Simple tactics include n-level templates, n-point bridges, distant blocks and ladder escapes. Playing time is about 10-20 minutes on an 11*11 grid. I still haven't played 14*14 but I think it might be better. Simple, elegant hidden identity/auction game with an abstract board. Great for those who like this type of game and criminally unrecognized. Really fun game of trying to get your discs onto the board, while trying to nudge off your opponents' discs. A lot like those coin drop arcade games. Good look trying to find a copy though and even better luck affording one. 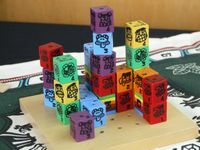 A fun and colourful "totem pole" building game from the mind of the man I call uncle (even though I've never even met the fella) Tony Boydell. With an initial "print" run of 500, I doubt it'll be troubling the top hundred any time soon, but it's a very good game. A wonderful game, especially when you use margin to buy shares and don't just buy in 10-share increments. Published in 1964. Ranked 7031 on this site. Fun, quick, and easily accessible to non-gamers. Published in 1998. Ranked 2048. Ranked 1998. Would be much higher, I believe, if it had ever been available in the U.S. Just look at the designer. He's done Carolus Magnus, Cartagena, and Clans, among others. Published in 2004. Noli me tangere, Caesaris sum. 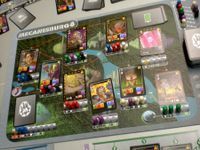 Awesome strategic 3D-building game for up to four players. Still in print and readily available! A game by Gen-X Games. This is a fantastic game and sad to see it so unknown. Each player is running an air show business. You start with a few planes, then their is a bidding round where new planes are drawn to buy. You have to worry about weather and plane damage. 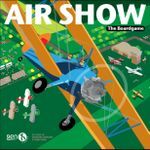 You can upgrade your air show company and personnel. Great art too. The entire deck of airplane cards is unique. The downside is the English translation of the rules is rough but there's a nice rules reference in the file section that really helps. This has always been a problem with each of their games and might be a reason they don't get more highly rated. I also recommend Mecanisburgo. I adore this game and sadly don't get to play it. But has a great theme with good art and nifty gameplay. But it takes a long time to play and another challenging rulebook. A wonderful election game from 1972. While dated thematically, its play holds up remarkably well. Classic area majority with card play and bluffing (the hollow promise token is a brilliant mechanic). The game has a great pace to it - building inexorably to a crescendo as the results are revealed on election night. Perhaps doesn't have the slickness of 1960: The Making of the President or Campaign Manager 2008, but much more fun. Deserving of a reprint/reboot with updated political theme (Scottish Independence? social media influence?). Could imagine Martin Wallace doing a brilliant re-working of this game. One of the crop of great Intellect games in the early 1970s that got me into this hobby. Does (Top Promoter) subliminal (Top Promoter) advertising (Top Promoter) really (Top Promoter) work? Very tactical game where game position is very important at the critical moments. A cool, little "dudes on a map" game in the spirit of Risk, only lighter. Luck is a factor, but it's more of a beer & pretzels kind of a game. Plays in between 1-2 hours. It's got nice, plastic minis. It's a little tough to find, but if you do, check it out. It's fun.